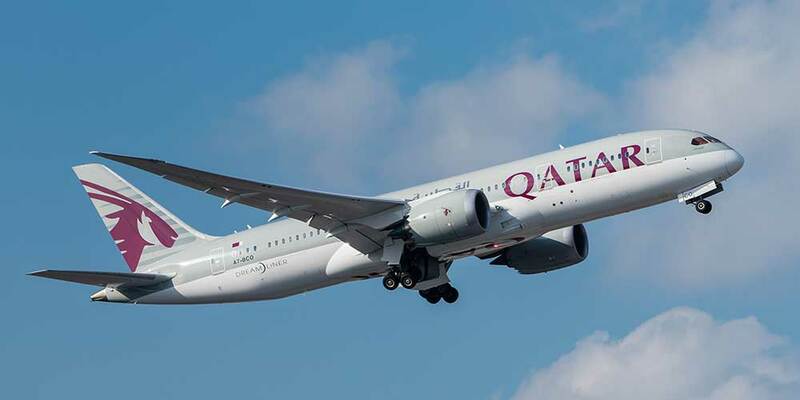 DOHA, QATAR - Qatar Airways celebrates its five-year anniversary of operating direct flights from Doha to Salalah, Oman. On 15 May, the award-winning airline commemorated this milestone with a celebratory water cannon salute at Salalah International Airport. Salalah is a unique destination in the region, offering fruit plantations, beautiful beaches, traditional souqs and archaeological sites, all scattered across a landscape that fuses the tropical with the desert. Salalah is especially known for its numerous cultural attractions, including the 'Al Baleed' archaeological site, a UNESCO World Heritage site that hosts the ruins of the 12th-century trading post of Zafar, and the Frankincense Museum where visitors can learn more about Salalah's history in the frankincense trade. Qatar Airways Group Chief Executive, His Excellency Mr. Akbar Al Baker, said: "We are delighted to celebrate five years of flying to beautiful Salalah this month. Salalah is a highly-sought after destination for passengers wishing to experience Oman's greenery and breathtaking natural beauty. Oman itself draws a great number of business and leisure travellers seeking to enjoy the many hidden treasures this city has to offer. We look forward to introducing more visitors to Oman, and connecting our customers from Oman to more than 150 destinations on our rapidly expanding global network." Qatar's national carrier has been flying to Oman since 2000, when it first began services to the city of Muscat. In 2013, Salalah was added to the airline's expanding network as the second destination, followed by Sohar in 2017.